You may not know what catechins are, but If you like your wine red, your chocolate dark and your tea green, you like them already. 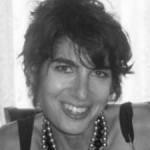 You might think of catechins as the gold standard in antioxidants. Catechins are flavonoids, or plant pigments. These are the parts of plants responsible for giving them their color. But catechins do more than give the plant color, they also give them protection against oxidative damage and they do the same for us when we consume them in certain foods. The benefits of catechins go beyond the antioxidative. Catechins are also known to be powerful weapons against neurogenerative and cardiovascular disease, to improve skin, and lower blood sugar. Green tea has the highest concentration of catechins of all foods,, and if you want your catechins fast and hard, they don’t come much harder or than a cup of matcha green tea. But if you like your catechins slow and easy, red wine or dark chocolate may be more your cup of tea. If you want to get your fill of catechins, here are some options. When it comes to catechin content, green tea is the catechin elite. Green tea is about thirty percent polyphenols by weight, which consists largely of EGCG or epigallocatechin gallate. Green tea, move over, it’s time to meet your matcha! Matcha tea is green tea to the third power. 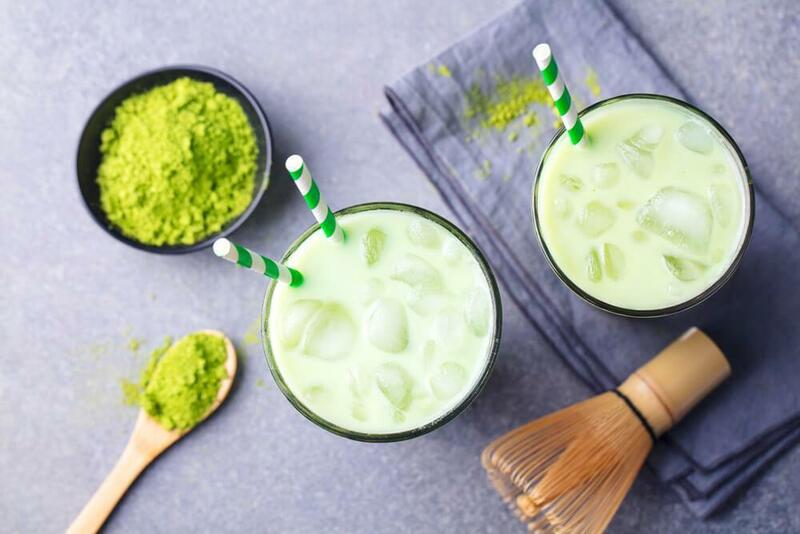 A single cup of matcha is equivalent to three cups of green tea, and contains up to 137 varieties of antioxidants, making it an even more staunch defender against free radicals. It also has cardiovascular and fitness benefits. From green tea to red wine. 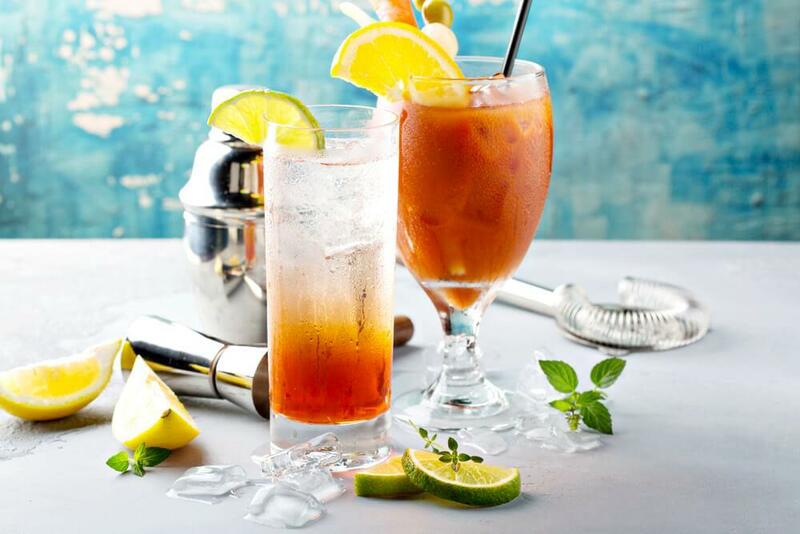 How can two such different libations offer such similar benefits? The answer is in their catechin content. Red wine has long been investigated for its health benefits, and studies reveal that there is some method to this madness. Research shows that consumption of red wine can help lower blood pressure, increase HDL (good) cholesterol levels, prevent blood clots, and increase antioxidant activity. 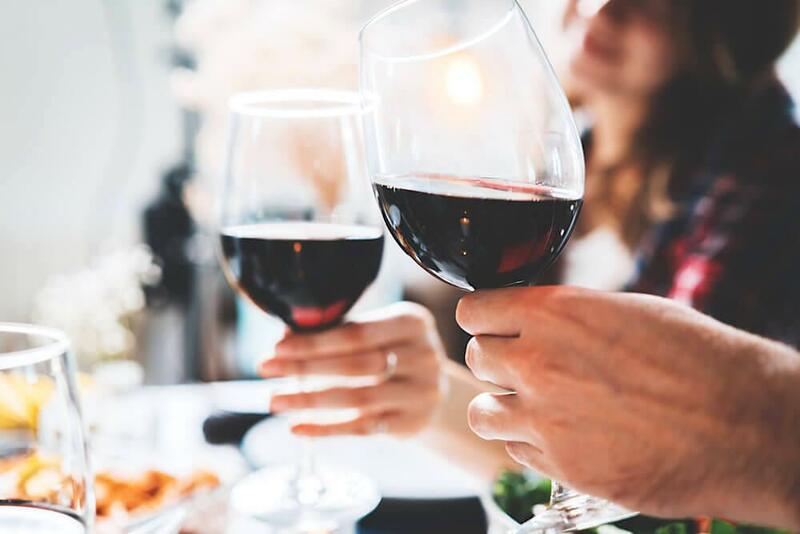 Some studies even point to a connection between red wine and a decrease in the progression of athlesclerosis. In addition, the flavonoids in red wine have been found to improve insulin resistance and sensitivity in some individuals, and research has also found a link between reduced risk of lung cancer and red wine consumption. However, before you go chugging down that bottle of red, remember, the American Heart Association does not support the consumption of alcohol as a means to reduce the risk of cardiovascular disease and recommends that if you do choose to imbibe, do so in moderation. The AHA also would like to remind you that purple grapefruit is an alcohol-free alternative that may offer similar cardiovascular and antioxidative benefits. One of these very powerful antioxidants are apples. Apples are one of the highest sources of dietary catechins and one of the most effective in the prevention of oxidative stress and the signs of chronic disease and aging. And while apples may be considered an “all American fruit’ they’re getting a lot of attention in other countries as well. In Finland, apples rank right alongside onions as the main source of dietary catechins, and they ranked third in the Netherlands, behind tea and onions. In a Finnish study catechin intake was found to be linked to decreased mortality rates. Of those, apples showed the strongest association with longevity and lower total mortality. However, not only is the taste of apples enjoyed by other cultures, their benefits are also enjoyed by other cultures. When compared to other fruits in the US, apples showed the second highest level of antioxidant material, (cranberries took the lead), and also came in second as a source of phenolic compounds, which also play a large role in cancer treatment and prevention. If you think pears are underrated, you should visit the USA World’s Largest Website dedicated to Pears. They’ve got pear décor, pear recipes, pear Instagram contests, they’ve even got pear pairings. And that’s a really good thing because pears have catechins, and it’s about time they get the recognition they deserve. Have you heard the news? Cranberries are no longer only for Thanksgiving. Nowadays, you can find them covered in dark chocolate, mixed with raisins in Craisins, in all sorts of juices and maybe soon in your burgers. 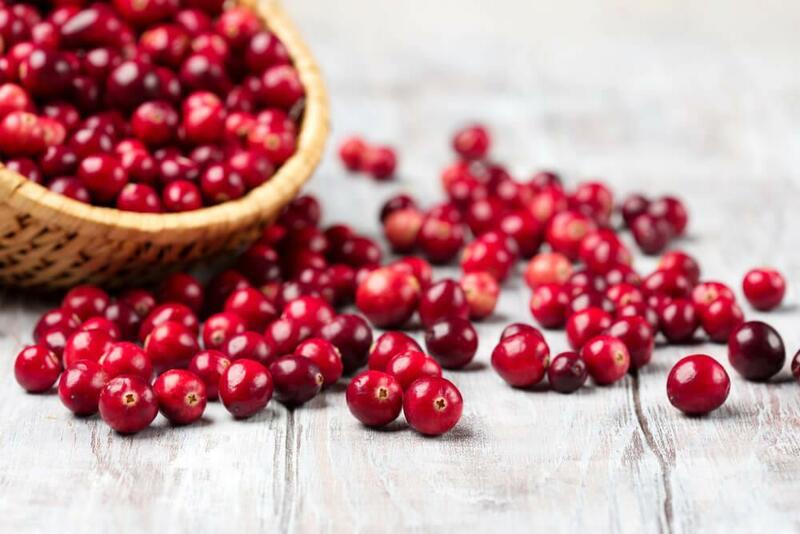 In fact, chefs are now praising cranberries for their meat extending qualities and say they add a deep red color, tangy flavor, and moisture to burgers. Next, they’ll be showing up on your pizza. When it comes to fruits and vegetables, berries have the highest catechin content. Cranberries have the highest levels of monomers (epicatechins plus catechins) among berries and twice the monomer levels found in blueberries. In fact, the total catechins in raw cranberries average 17 mg/100 grams and one liter of cranberry juice has as much catechins and epicatechin monomers as 100 grams of dark chocolate. Which one would you choose? Nowadays, when most people hear the word blackberry, they think of a phone, or something like it. Most remember when the device fell from glory and the iPhone took its place. However, the blackberry as in fruit has never fallen from glory, and its high level of catechins may have played an important part. Blackberries contain 37 milligrams of catechins per every one hundred grams, which puts them in a different league altogether than dark chocolate, and for those doing the math, that’s more than 14 times the amount found in brewed green tea. However, when fruits are processed, they lose their catechin content, which means you need to eat raw blackberries to get the full effect. It may be worth it though – when it comes to catechin content in berries, blackberries take the lead, apparently, the rule is the darker the berry the higher the catechin level, just be sure to get the raw deal for the full benefit. If only life were really a bowl of cherries, then we’d have no doubt about where our next source of catechins would come from. It turns out cherries aren’t just an indulgence for the mouth, they’re a literal feast for the body. Their catechin content makes them wonderful antioxidants, and their protective properties have even been linked to a lower risk of cancers, cardiovascular disease, and even diabetes. Cherries are also loaded with vitamin C, fiber, and potassium which puts them low on the glycemic index, and they have about 1.3 milligrams of catechins per every quarter cup. Bon appetit, mon cher. Were you waiting for it? There is no better transition from cherries than into dark chocolate, so without further ado, let’s investigate the healthier side of this sinful treat. The first thing you may notice here is that dark chocolate is not plant-based. Catechins come from plants, how can a food that’s not from a plant have catechins? Well, it turns out that the catechins in dark chocolate are from cocoa and are constituents of beans! Cocoa liquor is derived from the paste that comes from cocoa beans. The cocoa powder is obtained from a combination of cocoa liquor, butter, and sugar. 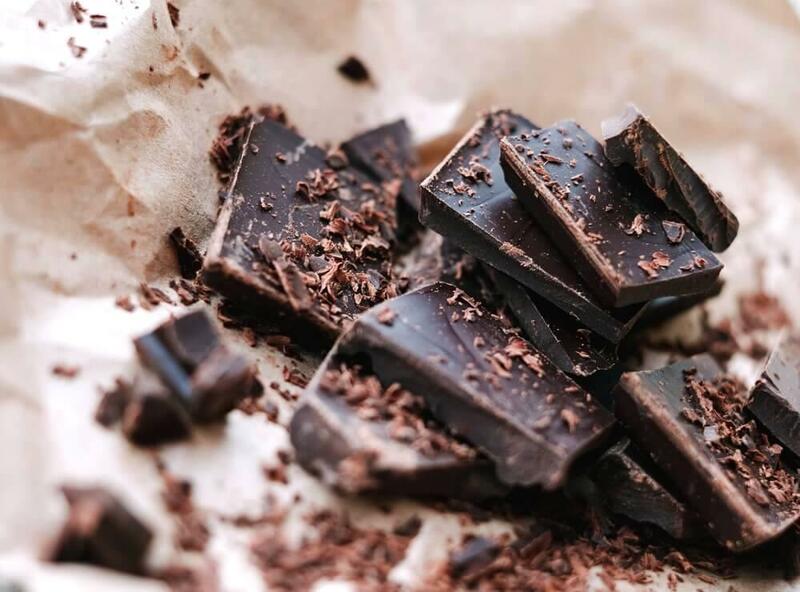 Dark chocolate is known for its high catechin content and its ability to improve cardiovascular health and protect the central nervous system. (That might be why we eat chocolate in times of stress (LOL)). There are 3.6 milligrams of catechins per every ounce of dark chocolate, and unfortunately, one ounce is the maximum amount nutritionist advise you to eat in order to get the maximum dark chocolate benefits without getting any of dark chocolate’s detriments. Of course, you didn’t think life could be that good, did you? While we’re on the subject of beans, let’s talk about fava beans. Not only are they a good source of catechins, they’re a good source of protein. There’s talks in the works of the fava bean’s potential to partially replace meat in the human diet and the fact that they are a valuable source of phytochemicals doesn’t hurt. When it comes to catechin content, fava beans have more than cherries, apples, and pears combined. Raw fava beans have twice the catechin content of the cooked beans, but if you’re not really into eating them directly from the bulk purchase containers, cooked beans still will give you a respectable 8-12 milligrams per cup. Guava is one of those fruits that should really come with directions. There’s no clear way to peel it, it doesn’t look like you should really bite into it, and its filled with seeds that could easily break a tooth. Eating a guava means knowing how to eat guava, which makes them a little high maintenance, but the catechins in this fruit make their consumption more than worth the struggle. Guavas are not only loaded with catechins, they’re also full of antibiotics. Their leaves can be steeped in tea and used for a variety of medical applications, including as an antidiarrhetic and an antibacterial. Plus, the pulp has more vitamin C then pineapples, more potassium than bananas, and the lycopene protects against UV rays and cardiovascular damage. If potato skins can be used as a hair dye, will purple potato skins dye your hair purple? If you ever wondered where purple potatoes get their color, it’s from catechins, and if catechins needed another glowing reference on their resume, turning things purple may just be one of them. 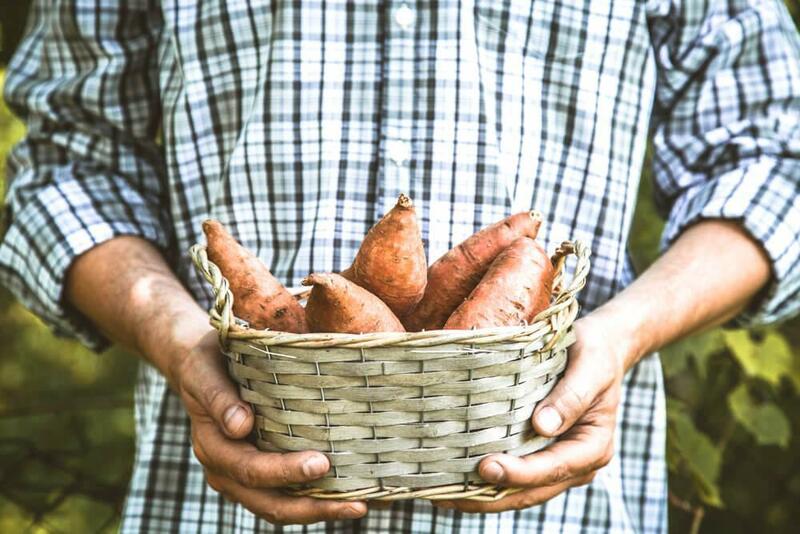 However, it is not just the purple coloring that makes us love the catechins in sweet and purple potatoes, it’s what they can do for our bodies. When it comes to potatoes, the darker the skin, the greater the catechin content, which is one reason why purple potatoes and sweet potatoes have almost twice the amount of catechins as regular potatoes and three to four times the phenolic content. And if you’re trying to get a variety of nutrients in your diet, these make a colorful addition to anyone’s fruit and vegetable rainbow. We’d love to know how you get your catechins? 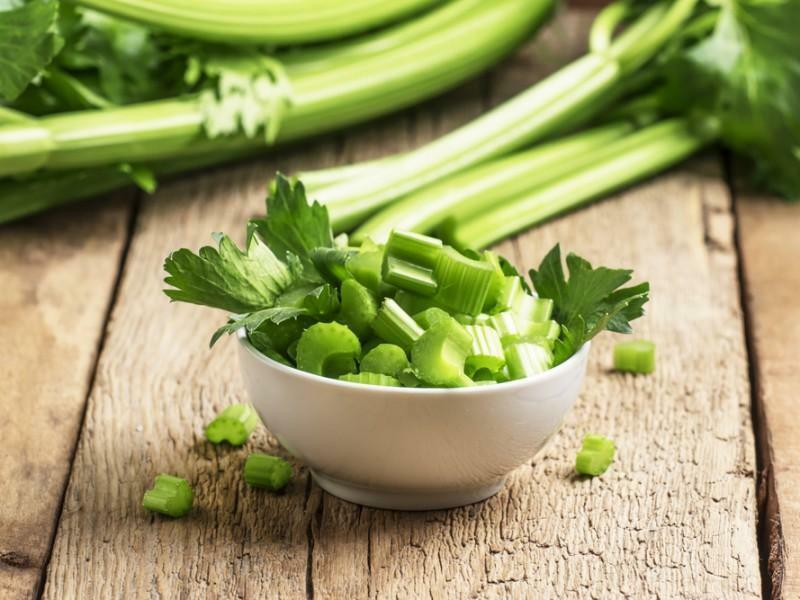 Do you have any recipes that will help us stay healthy? Send ‘em in! We love hearing from you.